The winter season of sessions is over and there are no concerts immediately in prospect – and the traditional music classes will break shortly for the summer. We look forward to seeing you all again in September! 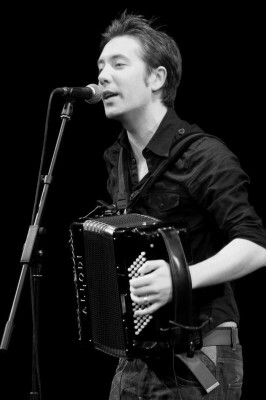 Talented young Devon singer Jim Causley will be appearing with friends Rosie Davis, and Julie and Gavin Atkin at the White Lion, in Tenterden’s picturesque High Street on the 27th April 2012, starting at 8pm. Jim’s a dynamic and engaging performer, with a great gift for telling the story of a song, and just happens to have one of the best baritone voices you’re likely to hear anywhere. Rosie Davis is a highly respected musician and singer with a beguiling mixture of British and American traditional songs, and also an outstanding dancer who will no doubt present both old fashioned Southern English stepdancing and Appalachian styles. Julie and Gavin Atkin sing and play old fashioned and traditional songs and tunes. Gavin uses a concertina to accompany Julie’s singing of old popular songs, plays tunes on fiddle and melodeon, and does a bit of singing himself. 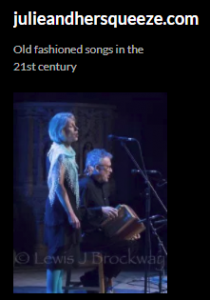 The show will take place in the Saddlery room, and is promoted jointly by the Frittenden Sessions (see the Sessions tab above) and Tenterden Folk Festival. 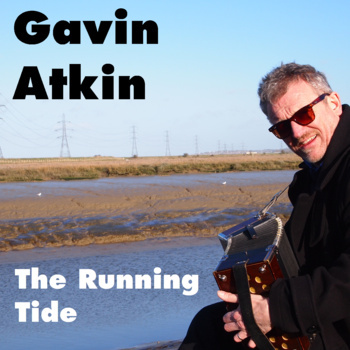 Tickets are £6.00 in advance (tel 07985 522734, email gmatkin@gmail.com), and £7.00 on the door.